Navy and Coral Sporty Swimsuit is rated 5.0 out of 5 by 1. 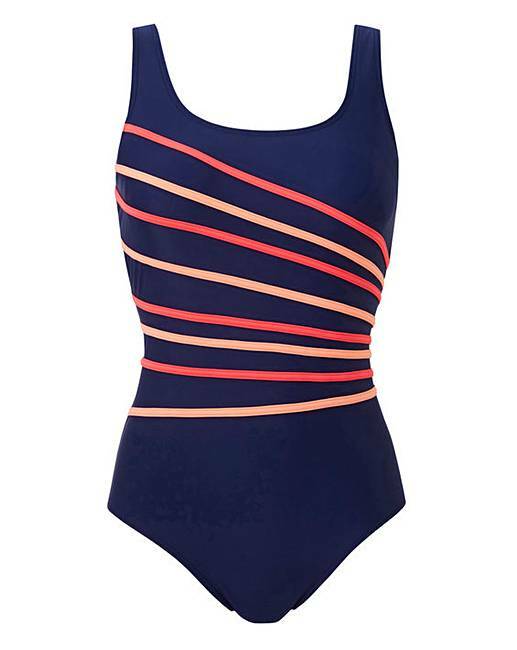 This sporty one-piece is your swim essential. 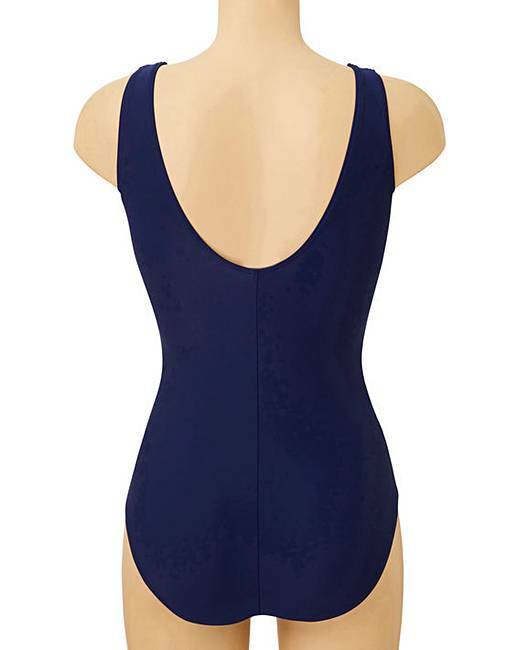 A classic navy swimsuit with scoop neck and back detailing, finished with statement colour piping detail to front. This swimsuit features fixed foam cups for bust support. The perfect one-piece for lengths in the pool or by the beach.